Discussion in 'Motorsports' started by R.J. O'Connell, Dec 23, 2015. The 2016 silly season for Super GT is well underway! Starting with the news that the Toyota Prius is back, and better than ever*, for 2016! The new look for Toyota's silhouette-frame, hybrid challenger was revealed in this month's Auto Sport (not that one) magazine. 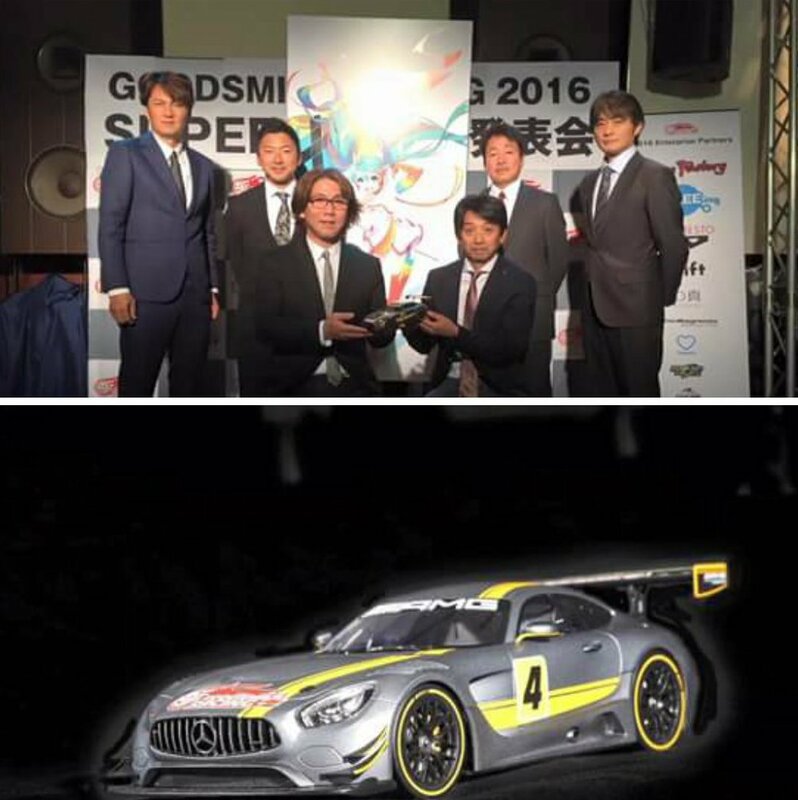 Goodsmile Racing with Team UKYO have one of the most popular entries in either of SGT's categories. Today, they also announced that Hatsune Miku will now grace her presence on a new Mercedes AMG GT3, while retaining former champion co-drivers Nobuteru Taniguchi and Tatsuya Kataoka. With the recent closure of Nissan's LMP1 team, there's a bottleneck of talent within the manufacturer's driver roster. Katsumasa Chiyo and Jann Mardenborough have been linked to a step up to GT500. Yuhi Sekiguchi, a Nissan talent "on loan" to Lexus, may be woven back into the fold as well. New Zealand's Nick Cassidy, his F3 rival Kenta Yamashita, and another young Toyota works driver Yuichi Nakayama could factor into the equation at Lexus in what could be a chaotic off-season. Honda's lineup seems, in contrast, fairly stable: Three of the five teams are either confirmed or will likely confirm they'll retain their 2015 lineups. 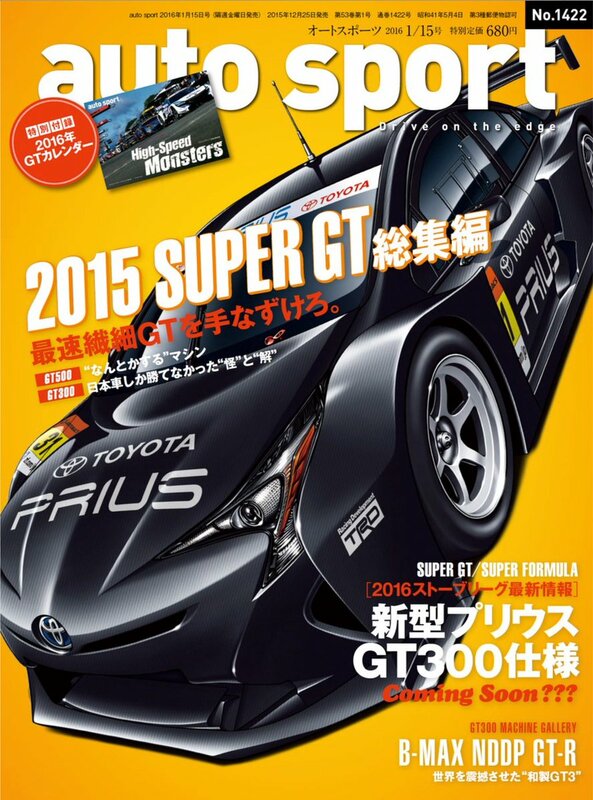 Good news for fans of SUPER GT SUPERSTAR OLIVER TURVEY! We'll know more closer to January/February when Honda, Toyota, and Nissan have their start-of-the-year press conferences. all new GT3's, hell yeah. Remember also that this is just a year after getting a new Lexus RC-F GT3, plus the introduction of the Mother Chassis cars - the Dome Toyota 86 and Mooncraft Lotus Evora. Whole lot of new blood being injected into the second division. Let's hope it doesn't result in a crazy escalation of costs. It'll be very good to see Oliver Turvey in another season. More Prius news. 2016 regulations state that new cars must be built to the same engine layout as their road-going counterparts, which would prohibit a 2016 Prius GT from being built as a mid-engined car. But what if the 2016 car was built in late, late 2015? Toyota and Subaru have revealed their GT300 challengers at the Tokyo Auto Salon. The Prius still has the RV8K engine, paired with a new hybrid system. No major changes on the BRZ. Koki Saga and Yuichi Nakayama will return to drive the #31 Prius, joined by a second entry with GT300's all-time pole winner Kota Sasaki, and a newcomer to the series - 48-year-old Hiroaki Nagai, the CEO of Porsche dealer Ninne and competitor in Super Taikyu, Porsche Carrera Cup, and Japanese F4. The 31 will run Bridgestones, the 30 will run Yokohamas. Takuto Iguchi and Hideki Yamauchi return to drive the Subaru, once again on Dunlop tyres. Lexus announced their GT500 lineup last night! The famous #36 TOM's RC-F will have a new driver, as New Zealand's Nick Cassidy, the reigning F3 champion of Japan, has been promoted to a full-time role in the series. He'll drive the car alongside Daisuke Ito. They are expected to confirm a new title sponsor for the car with no mention of longtime partner Petronas. James Rossiter, then, moves to the #37 KeePer TOM's RC-F alongside young Ryo Hirakawa, who will also run the European Le Mans Series for an LMP2 team TBD. No change in the Cerumo team, with Hiroaki Ishiura and Yuji Tachikawa returning to the ZENT RC-F, and Kohei Hirate and Heikki Kovalainen driving the Denso SARD RC-F as they did last year. Kovalainen is the first former F1 GP winner to race in Super GT, so his presence is always a good thing. The Eneos RC-F is now the Wako's RC-F, after Team Le Mans struck a deal with the Japanese petrochem company. Andrea Caldarelli joins the team alongside Kazuya Oshima. And the WedsSport RC-F, perennial underdogs of the group, will have a young lineup of Yuhi Sekiguchi and Yuji Kunimoto, and be the only Yokohama team while the five other cars run Bridgestones. After the announcement, 18-year GT500 veteran and three-time champion Juichi Wakisaka announced his retirement from racing, and his intentions to become a team manager. Goodbye Eneos, hello Wako's. This is Team LeMans' new livery for the 2016 season as they end with Eneos as their title sponsor. Honda have announced their 2016 rosters! ARTA, Epson/Nakajima, and Raybrig/Kunimitsu keep their driver lineups intact. Hideki Mutoh trades places with Takashi Kogure, with Mutoh joining FORMULA E SUPERSTAR OLIVER TURVEY in the Drago NSX, and Kogure joining Koudai Tsukakoshi in the Keihin NSX. There's one huge change under the bonnet of their NSX-GT, however: They've abandoned their hybrid powertrain in favour of a traditional layout. In GT300, LM Corsa have purchased a Ferrari 488 GT3, Audi Team Hitotsuyama switched to the new R8 and Dunlop tyres, and Gainer have a new Mercedes AMG GT3. Well, shoot. There was a race this past weekend that wasn't streamed by NISMO. Full race is here, for the moment.